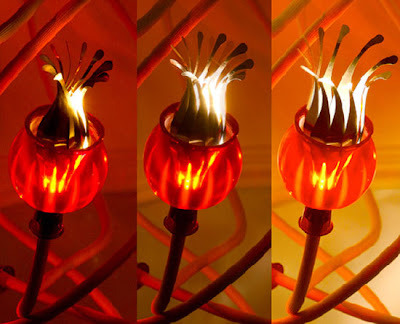 This whimsical lamp has some surprises in store – the poppy lampshade gradually opens up with heat! These artful mouth-blown glass blossom are available in a range of great colors, and each is perched on its own flexible, fabric-covered stem that you can twist and turn any which way. Create a trendy tangle of flowers overhead, spiral your sconces, and twist your tabletop lamps in a fashionable and functional way. 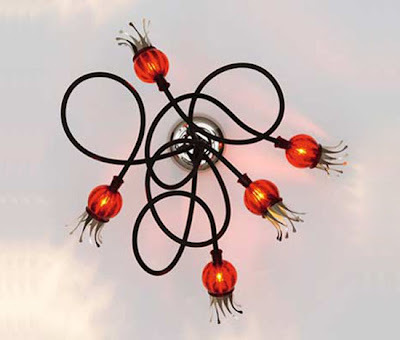 These cute and quirky poppy lamps come in chandelier and sconce designs, as well as tabletop lamps ideal for reading or as a source of soft mood-lighting in any room.